It’s often said that our society has progressed to a point where intellectual achievement is not as celebrated as it used to be, superseded by semi-literate entertainers and other attention-seekers. And so it is doubly sad when those who are among the precious few well known public intellectuals slip from mortal existence. This week we famously lost Christopher Hitchens, who finally succumbed after a year long battle with Cancer. 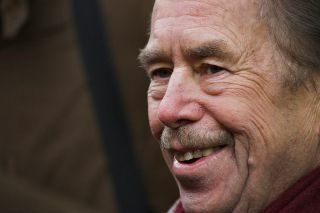 And now, less than hour ago, news has come that playwright, revolutionary and Czech leader Vaclav Havel has died. Havel has always been an inspiration to me, and I am a tad troubled that he is dead, more so because he is 4 years younger than my beloved father (who is, of course, the greatest inspiration to me).